Kevin Farrell is a real-life, present-day “Tootsie!” Kevin has a new twist on an old Hollywood story. After a debut on TV’s “Frasier,” boy actor comes to California to seek his fortune in show business. A talented, well-liked working actor, he works consistently, but not quite enough to pay the bills. 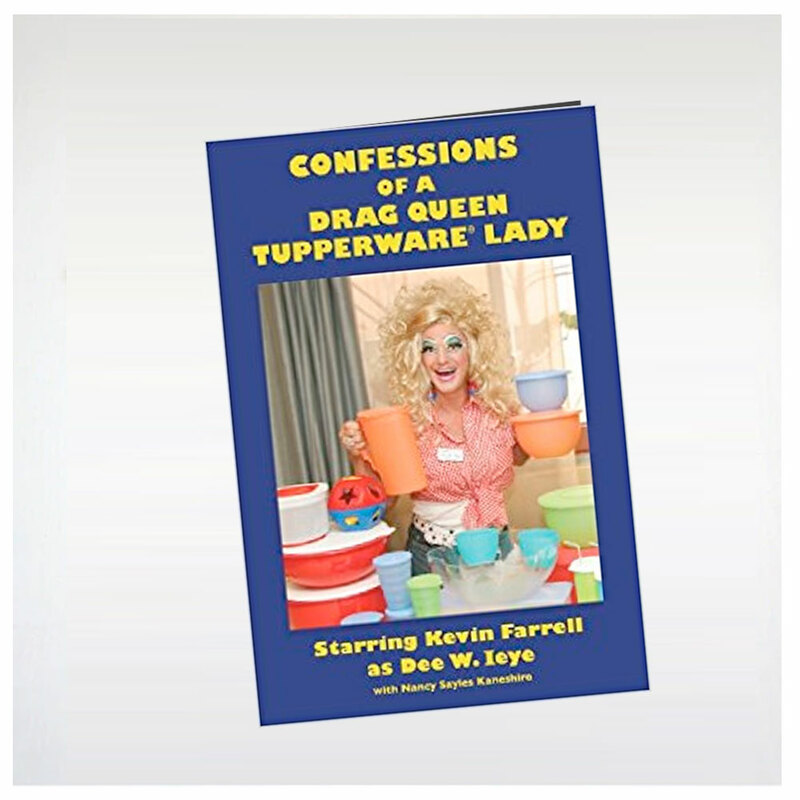 So following the advice of longtime friend, Kevin decided to supplement his income by selling Tupperware. In drag. It wasn’t long before Kevin became Tupperware’s number one salesperson in North America! This is his story. Funny, touching, outrageous, irritating moments of parties and hostesses and customers. Inspiring stories of a businessman, a son, a brother, an actor. Kevin will autograph your book for free!